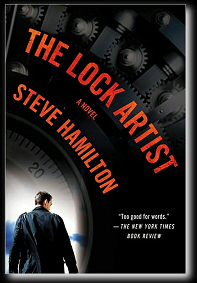 The Lock Artist has won the Edgar Award for Best Novel, and has been on my wish list since its release. I was thrilled the day I finally found a copy, and it wasn't on my bookshelf for too long before I decided to dive into it. The Lock Artist is narrated by Mike, a young man sentenced to life in prison for his role as a boxman, or safe cracker, in a series of heists. 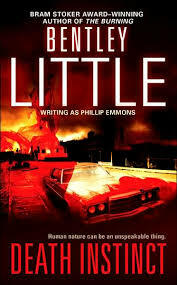 Mike has been mute since he was eight years old, when a terrible family tragedy should have resulted in his death. After being unable to open the safe for a robber at his uncle's liquor store, Mike develops an interest in learning how to pick locks. After several years and lots of practice at lock-picking, 17-year-old Mike gets talked into breaking into the home of a local high school jock. After getting caught, Mike must redeem himself by performing odd jobs for Mr. Marsh -- the man whose house Mike broke into. I grabbed Slither from my bookshelf with high hopes of indulging in splatterpunk. This is the first novel I've ever read by Edward Lee, and I'm happy to say I loved it, and I'm looking forward to reading The Golem and Infernal Angel -- both of which are already on standby at Mt. TBR. Though Slither is plenty violent and terrifying, I was hoping it would be a bit more splatterpunky than it was. But the novel's ending is wholly satisfying and justifies everything...I can't wait to read more of Edward Lee's backlist.